After the end of World War II and the declaration of Austria’s separation from Germany and independence, Austria’s Second Republic was characterized by a two-party system, dominated by the conservative Austrian People’s Party (ÖVP) and the center-left Social Democratic Party of Austria (SPÖ). In fact, these two parties governed Austria in a coalition government continuously until 1966, as well as in several other instances until today. Moreover, for a large period of time Conservatives (the “Blacks”) and Social Democrats (the “Reds”) were more than mere political parties: in the pillarized Austrian society, they formed independent social milieus, within which almost all aspects of their members’ social lives were organized. Until the mid-1980’s these two parties steadily gained together more than 80% of the votes, the only other party being systematically represented in the National Council being the Freedom Party of Austria (FPÖ), albeit with vote shares in the area of 5%. Pillarization is now a fact of the past for Austrian politics. However among its remnants is one of the highest political party membership rates in Europe until today (Van Biezen, Mair & Poguntke, 2012). 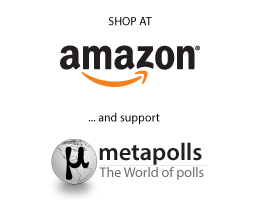 Another distinguishing fact of Austrian politics which accompanied pillarization was the concept of “Proporz”: the, in some provinces mandatory, proportional representation of the two dominant parties in the government and the public sector according to their electoral strength. “Proporz” aimed at the prevention of political polarization and largely succeeded at that, but, at the same time it was blamed for widespread corruption and nepotism. Since 1986, the FPÖ, under the leadership of Jörg Haider, who had a nationalist-populist agenda and fiercely opposed “Proporz”, started to gradually gain electoral strength and even managed to get between the two historical parties in 1999, leaving ÖVP in third place. Since 2002 the FPÖ started to lose its power and was eventually divided, with a new electorally important party emerging from its ranks, the Alliance for the Future of Austria (BZÖ), under the leadership of Haider. During the same period, the Greens also started to gain power and became electorally important. In the latest years, new parties, like NEOS and Team Stronach have entered the political scene and have given the Austrian Party system a multi-party character, resulting in a six-party parliament after the 2013 election. The legislative election that was held on 29 September 2013 was highly contested, with the Social Democratic Party (SPÖ) getting 26.8% of the votes and electing 52 MPs, Austrian People’s Party (ÖVP) 24% and 47 MPs, while the Freedom Party of Austria (FPÖ) got 20.5% and got 40 MPs elected. The Greens (12.4%, 24 MP’s), Team Stronach (5.7%, 11 MPs) and NEOS (5%, 9 MPs) were also represented in the Parliament. A grand coalition government between SPÖ and ÖVP was formed, with chancellor Werner Faymann, leader of the SPÖ, retaining the position he had from 2008. The Social Democratic Party (Sozialdemokratische Partei Österreichs, or SPÖ) is a social democratic/ center-left political party that was founded in 1888 as the Social Democratic Worker’s Party (Sozialdemokratische Arbeiterpartei, or SDAP), under Victor Adler. The party was reconstituted as the Socialist Party of Austria in 1945 and was renamed as the Social Democratic Party of Austria in 1991. It has governed the country, either alone or with a partner, for the biggest part of the post WWII period. All but two of the Presidents of Austria since 1945 have either been members of the SPÖ or nominated by it. Originally being very popular among blue-collar workers, it sought to expand its focus on middle class and white-collar workers in the late 1950s. In the 1990s, it started viewing privatization of nationalised industries more openly, after large losses of state owned enterprises came to light. Following the 2008 financial crisis, the party started advocating a global transaction tax. It finished first in the National Council election of 2013 with 26.82% of the votes. The party is a member of the Socialist International and the Party of European Socialists. The People’s Party (Österreichische Volkspartei, or ÖVP) was founded by leaders of the former Christian Social Party in 1945 as a conservative/centre-right party with loose ties to the Catholic Church. It has been one of the two dominant parties in Austrian politics and has been in government between 1945 and 1970, as well as continuously from 1987 onwards. It finds support from farmers, large and small business owners, and lay Catholic groups, but also from voters without party affiliation. Its strongholds are in the rural regions of Austria. In the latest elections in 2013 it came second with 23.99%. Since 1991 the party is a member of the European People’s Party. The Freedom Party (Freiheitliche Partei Österreichs, or FPÖ) is a right-wing populist political party that was founded in 1955 as a successor to the Federation of Independents. 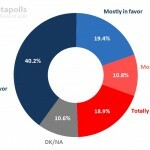 According to polls, it mainly attracts votes from young people and workers. Their nationalist and eurosceptic rhetoric targets Muslims, immigrants and the European Union. The party steadily gained support after Jörg Haider took over leadership of the party in 1986, their highest vote share being 27% in the 1999 elections. The party has twice participated in coalition governments, between 1983-1987 and 2003-2007. They gained 20.51% in the 2013 election. The Greens (Die Grünen), a party focusing on environmental and social justice issues as part of the worldwide Green movement, received 12.42% of the vote in 2013. The Greens are particularly strong in the city areas, like Vienna. In Neubau they received 41% of the votes, more than SPÖ and ÖVP combined. The Greens attract left-liberal intellectuals and voters from the 18-30 age group. They have an anti-corporate rhetoric and they advocate less business friendly policies. At the same time, they place a great deal of faith in local markets and direct democracy. Team Stronach was founded in 2012 by Austrian-Canadian businessman Frank Stronach and was named after him. Upon its creation, it received the support of five MPs, one from SPÖ, two from BZÖ and two independents. Team Stronach advocates Austria’s exit from the Euro, albeit it is not an anti-immigrant party. It received 5.7% in the 2013 election and elected 11 MPs. NEOS – The New Austria (NEOS – Das Neue Österreich) is a liberal political party. The party, founded in October 2012 by Matthias Strolz, contested the legislative election including in its slates the Young Liberals Austria and the Liberal Forum. In the 2013 elections NEOS won 4.96% of the votes and elected 9 MPs. On 25 January 2014 NEOS formally absorbed the Liberal Forum, creating “NEOS – The New Austria and Liberal Forum”. In early April 2005, following severe disputes within the FPÖ, Jörg Haider announced the creation of a new right-wing political party, the Alliance the Future of Austria (Bündnis Zukunft Österreich, or BZÖ). All FPÖ members of government and most FPÖ members of parliament joined the BZÖ. In the 2013 elections they finished with 3.53% of the votes and did not manage to elect an MP. The Communist Party of Austria (Kommunistische Partei Österreichs, CPA or KPÖ) was established in 1918, being one of the world’s oldest Communist parties. The KPÖ was banned between 1933 and 1945 under both the Austrofascist regime and the Nazi German control of Austria after the 1938 Anschluss (occupation and annexation of Autria by Nazi Germany). It played an important role in the Austrian resistance against the Nazis. It was a member of the coalition government until 1950. The party currently holds two seats in the Styrian Landtag (state parliament), but has not had representation in the National Council (Nationalrat, Austria’s federal parliament) since 1959. At the legislative election held on Semptember 29, 2013, it got 1.03% of the votes, well below the 4% threshold. It is part of the New European Left Forum (NELF) and the Party of European Left. 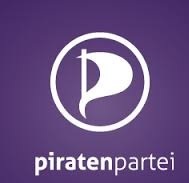 The Pirate Party of Austria (Piratenpartei Österreichs, PIRAT) is part of the global Pirate Party movement which, among others, advocates freedom of information and protection of privacy. It is mostly known for opposing the Anti-Counterfeiting Trade Agreement. The party was founded by Florian Hufsky and Jürgen ‘Juxi’ Leitner during the run-up to the 2006 election in Austria, but failed to gather the necessary signatures to contest the election. In the 2013 elections PIRAT won 0.77% of the votes. The Christian Party of Austria (Christliche Partei Österreichs, CPÖ; formerly the Christians – Die Christen) is a minor political party in Austria, founded on 15 October 2005. It changed its name under its new chairman Rudolf Gehring in late 2009, partially due to concerns by the Catholic Church over the use of the term “Christians” to mean only the party. 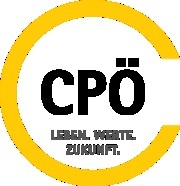 In the 2013 elections CPÖ won 0.14% of the votes. -Van Biezen, I., Mair, P. & Poguntke, T. (2012) “Going, going,… gone? The decline of party membership in contemporary Europe” European Journal of Political Research, 51: 24–56.